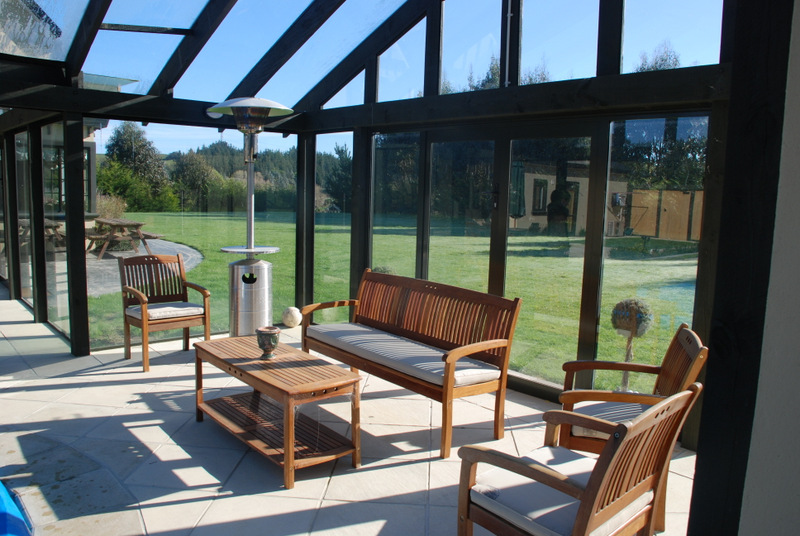 This property, a lifestyle block in Pauatahanui, is elevated with great views over the surrounding countryside… but the wind really hits the garden and the thought of investing in a pool which was too cold and windy to enjoy was too much to cope with. The pool was located around the back of the house on the east side so the house provides some protection. 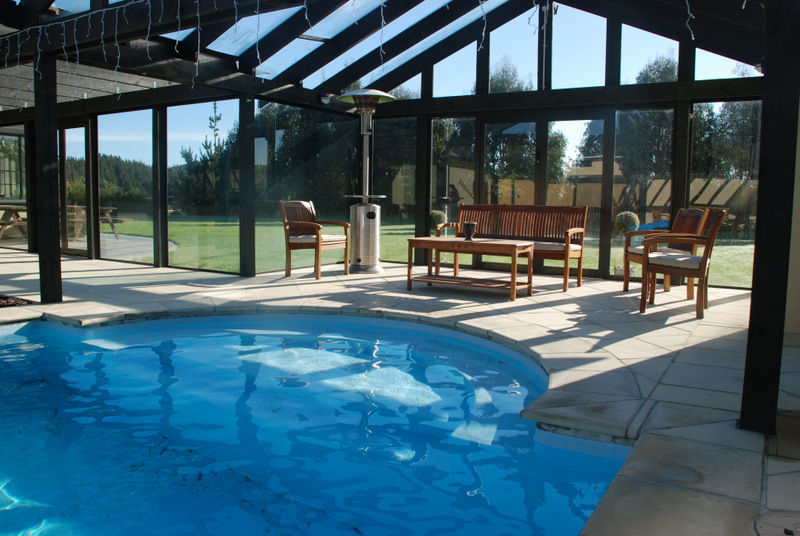 The northerly winds are kept out of the area with a glass “wall” which also doubles as a safety fence, and this end of the pool is also covered by a glazed pergola to ensure the wind carries on over the roofline rather than dumping down into the pool courtyard. 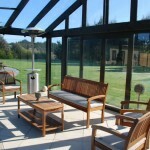 The whole area is remarkably sheltered and is now the main focus for family outdoor living. 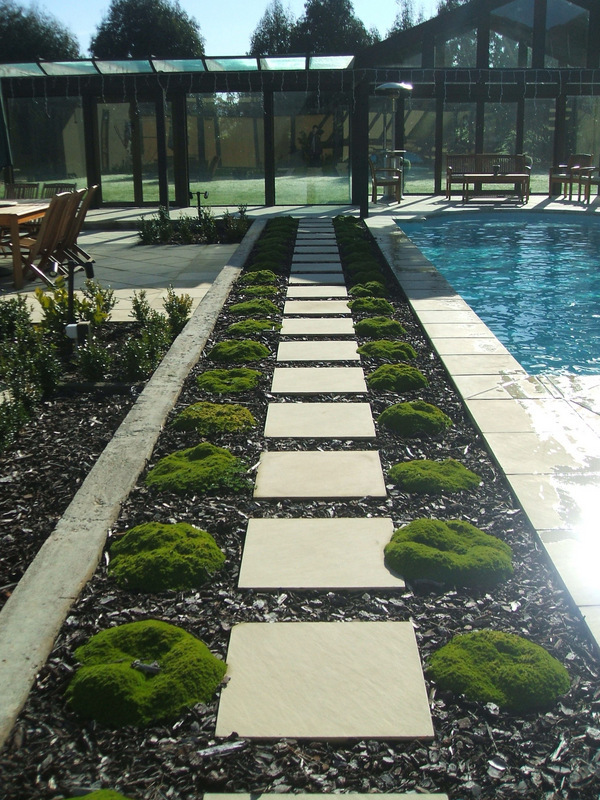 The pool features a waterfall and a curved bay at both ends, one of which has the steps. 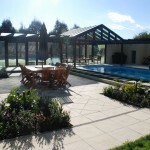 Retaining walls, free-standing concrete walls and the glass wall form the pool “fencing”, with access doors from the house fitted with the required locks to comply with safety regulations. 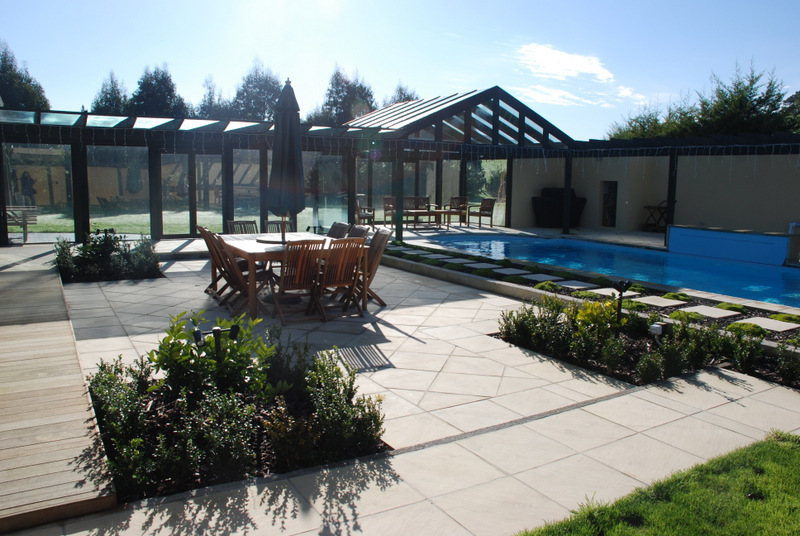 This creates a naturally enclosed courtyard atmosphere without the fencing becoming intrusive.